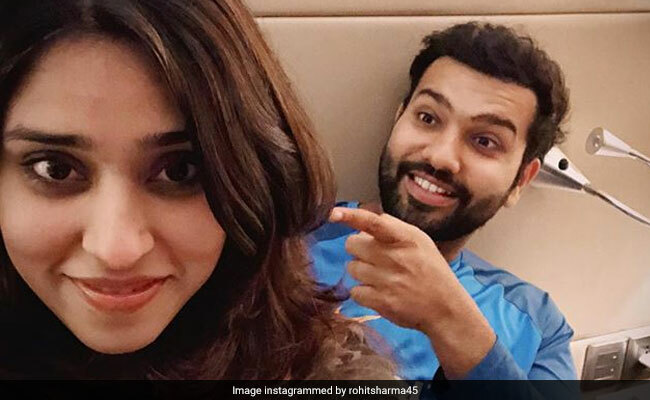 Rohit Sharma credits his wife, Ritika Sajdeh, for his scintillating innings. Rohit Sharma's special knock could be a gift for his wife who celebrated her birthday on December 21. Cricket fan or not, by now you may have seen or heard about Rohit Sharma's heroics in last evenings Twenty20 International against Sri Lanka in Indore. India's stand-in captain scored a 35-ball century and sent fans in a tizzy thanks to his superb innings. Now as congratulatory tweets and posts flood social media for Rohit, it's his Instagram post for his wife that's bringing a smile to many. In an adorable post shared some 12 hours before writing this, Rohit shared the secret behind his scintillating knock. No points for guessing, he credits his wife, Ritika Sajdeh. Aww... isn't that just the sweetest? Well, Instagram sure thinks so. The delightful post has collected over 5.7 lakh 'likes' since being posted. Several Instagram followers of the cricketer have shared their comments on the post. "Hit man with his lucky charm #cutecouple," says one Instagram user. "You both are looking awesome together," says another. Rohit Sharma recently also scored his third ODI double hundred, becoming the first cricketer to ever do so. What's interesting to note is that the record-breaking performance coincided with his second marriage anniversary. Rohit dedicated the knock to his wife. "I'm happy my wife is here with me on this special day. I know she would have liked this gift from me. She has been my strength. She has always been there for me. You go through so much stress in this sport, and having them around is always special," Rohit said during the post-match press conference.